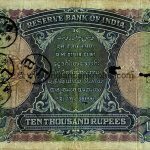 RESERVE BANK OF INDIA on top. 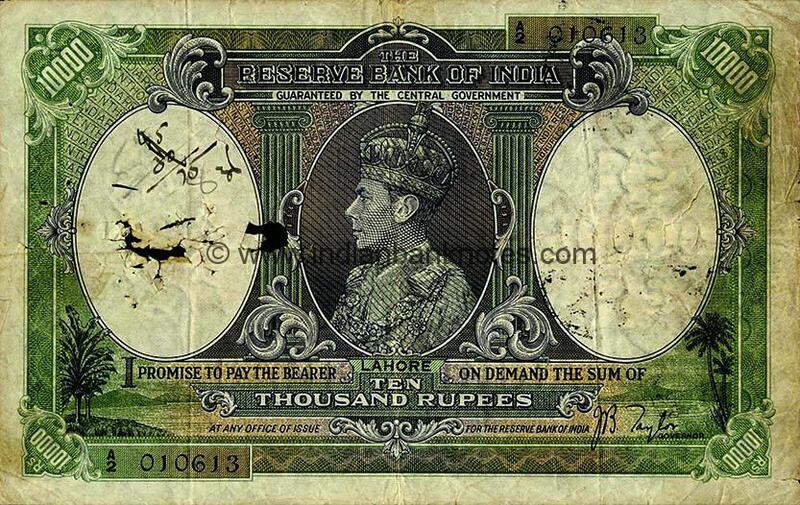 Language Panel in centre. 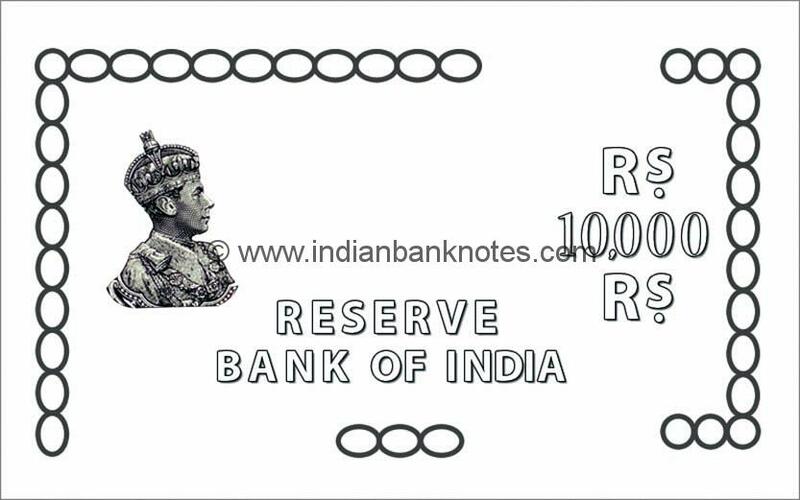 TEN THOUSAND RUPEES below with ‘THE RESERVE BANK OF INDIA’ in tiny alphabets written within each alphabet individually. 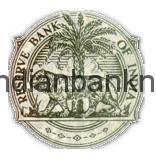 RBI seal in left watermark window. 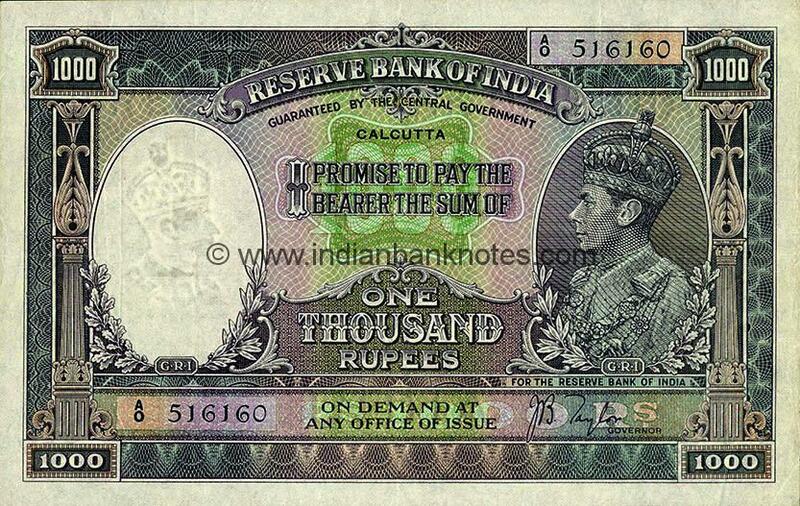 Obverse: Radiating RESERVE BANK OF INDIA and RUPEES TEN THOUSAND alternatively from the profile portrait. 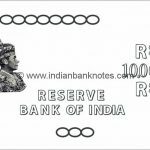 Intertwined concentric circles in a horizontal figure of 8 with 10000 and RESERVE BANK OF INDIA and TEN THOUSAND RUPEES in entire central panel. 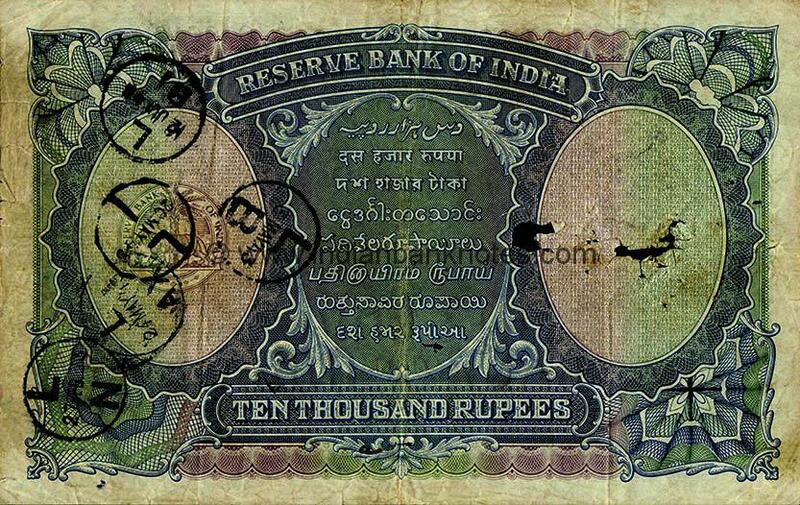 Reverse: RESERVE BANK OF INDIA on left window and TEN THOUSAND RUPEES on right window. 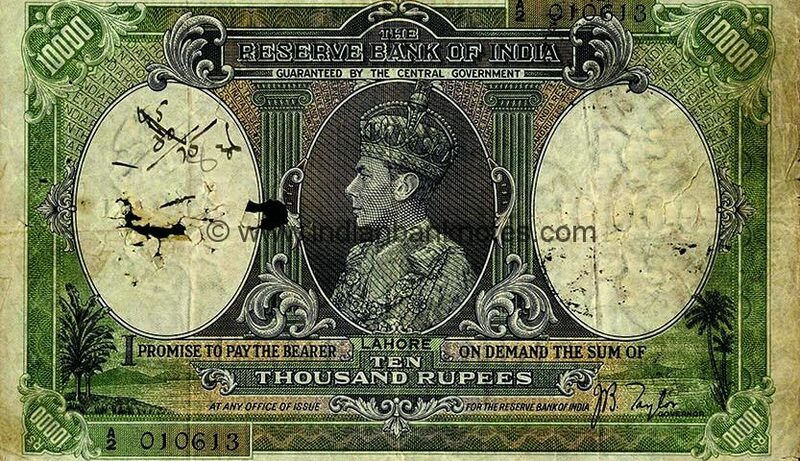 Profile portrait of King George VI in left window. 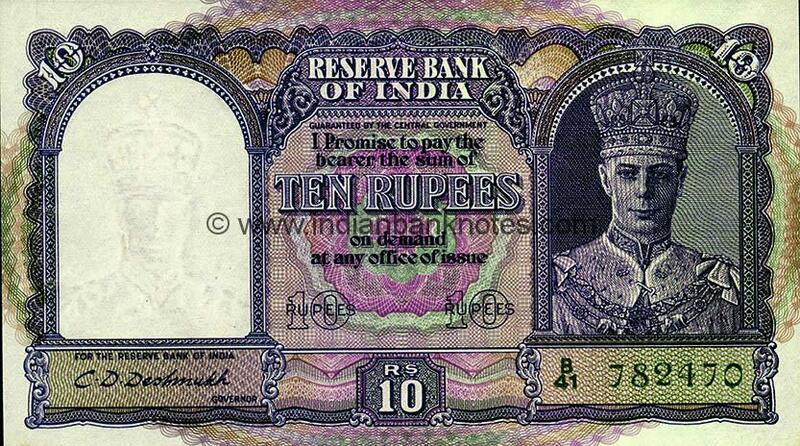 Rs/10000/Rs in three lines in right window. Vertical ten links on left connected to ten links horizontally on top, vertical ten links on right connected to two links horizontally on top right and lower left. 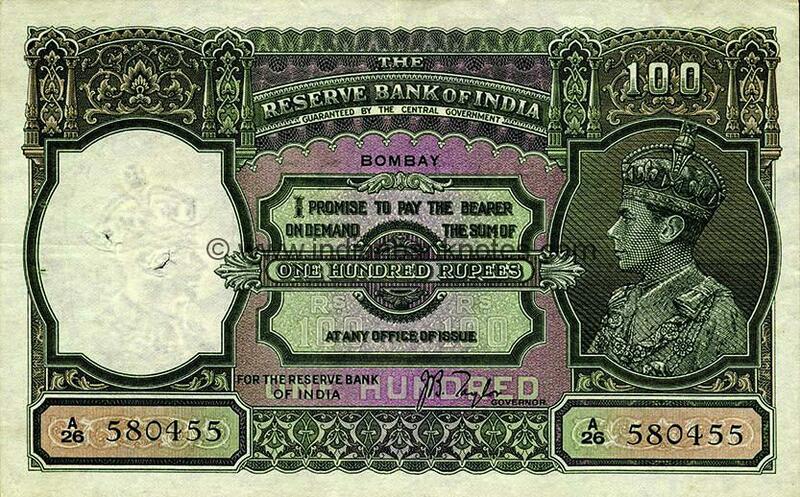 RESERVE / BANK OF INDIA in two lines in centre with three links below it.